Our Four Hour City Tour takes you to areas that the other tour companies do not take you. Welcome to San Diego! Enjoy the best sightseeing tour that will take you to the most places in San Diego. Enjoy a half day of discovering the historic sights of Old Town, Balboa Park, Downtown & Gaslamp Quarter, Coronado and the beautiful La Jolla cove home to various natural sea caves and sea coast! Enjoy a panoramic view of San Diego at Mt. Soledad and we will take a group picture at Shelter Island which is the best place to see the San Diego Skyline. Aside of the wonderful climate all year round, the best part of visiting San Diego is the large variety of things to see and do. And sometimes the best way to discover the region is to let one of the local's show you the hidden gems or provide the details you might otherwise miss. All our guides are raised and born in our city and know the area like the back of their hands! 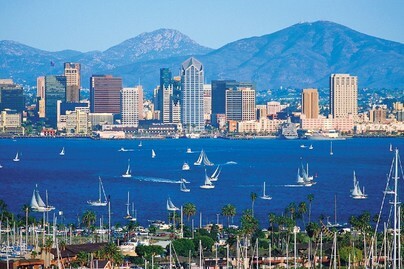 It’s the most loved tour and also the most complete when it comes to visit the American finest city! Make sure you don't miss our many Tour Options to make the trip even more complete !